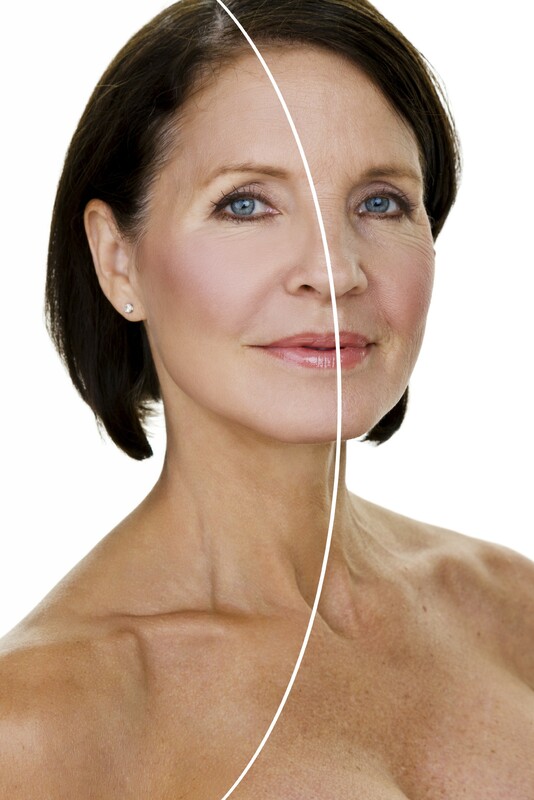 INTRAcel is a state of the art, non-surgical treatment for tightening and firming skin and reducing the appearance of wrinkles without the down time associated with laser resurfacing or surgical facelift. It combines radio frequency technology, microneedling and fractional treatments, all in one simple procedure. Tiny insulated needles penetrate deep into the dermis and heat the tissue for microseconds. It’s a very targeted treatment so the surrounding tissue is left unaffected, which results in a very fast healing time. The body’s natural healing process produces a new, healthy and tighter skin structure in the treated area and the surrounding skin. Generally the skin will begin to feel smoother and tighter even after the first treatment, but the results from the treatment will continue to improve for up to six months. The results are variable, depending on the original quality of the skin and degree of damage to be treated. How many INTRAcel treatments will I need? The number of treatments required will depend on the area being treated and the quality of the skin. Dr Comins will discuss this in your consultation, but generally at least 2-5 treatments are recommended. A topical anaesthetic cream is applied an hour before treatment. During the prodedure you will experience a prickling sensation across the skin as the treatment device head is passed over the area. This increases with the number of passes, but as the skin is cooled during treatment it is completely tolerable. The levels of treatment can be adjusted to suit patient comfort. If you are worried about discomfort or feel nervous about the treatment you can discuss these concerns with Dr Comins who will suggest the appropriate response. Yes, the treatment is safe but it must be carried out by a trained and experienced doctor to ensure that the different areas are treated at the correct levels. As with any treatment it is important to discuss any possible side effects with Dr Comins in your consultation. Initially there will be tiny pinpoint bleeding which will settle in a few minutes. You will experience a mild sunburnt sensation for about an hour after treatment, then virtually no discomfort. Other possible side effects will be discussed in your consultation with Dr Comins. The use of a good sunscreen (30+) following the treatment is very important to protect the skin during the healing phase and for several weeks following treatment. Aloe Vera gel and cold compresses can be applied following treatment. Makeup can be applied after 24 hours once the initial epidermal healing has occurred. All your aftercare needs will be discussed by Dr Comins in the consultation process and he is on hand after the treatment to answer your questions. INTRAcel has featured in several publications recently including; Tatler’s Good Cosmetic Guide, the Daily Mail, Evening Standard, and Financial Times Magazine.